Contributing Editor, Marjory D. Lyons, Ph.D. Contributing Writer, Michael Jefferson, B.A. 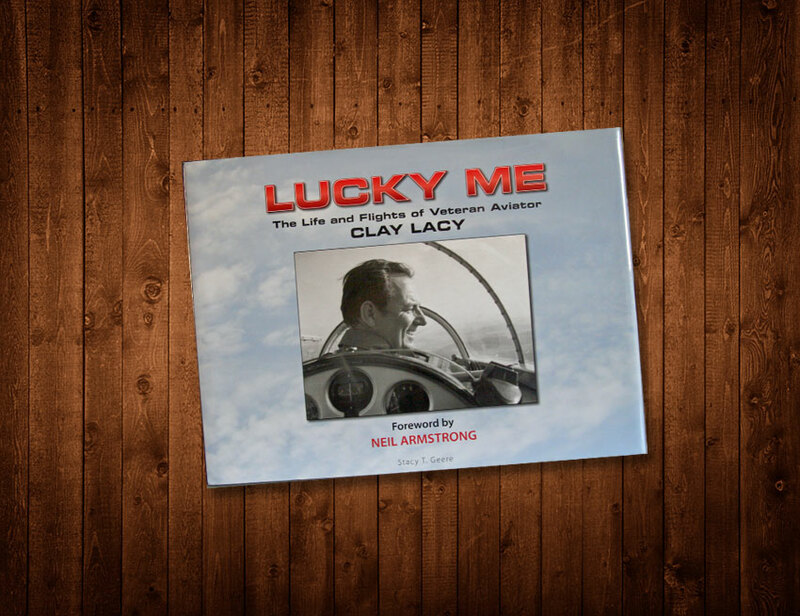 This handsome coffee table book describes the remarkable life of Clay Lacy: his many world records in aviation, including 40 years with United Airlines, starting as a pilot at 19; his business success with the first charter jet business in LA and on the West coast; and his innovative ariel photography of Hollywood scenes and films. Featured are memoirs of times with Clay by 20 of his friends whom Telling Your Story interviewed and whose story makes up the narrative of the book. Among those were General Jack Dailey, Executive Director of the Air and Space Museum in Washington, DC; Barron Hilton, Owner of the Hilton Hotels; Dr. Forrest Bird, inventor of the respirator enabling pilots to fly in high altitudes; Cliff Robertson, actor and winner of the Academy Award for his role in Charley; Gene Cernan, astronaut and the last man to walk on the moon. All list their proudest accomplishment: pilot. Photos by Ron Talley Graphics.